Enjoy a luxurious family holiday in Portugal’s stunning Algarve. 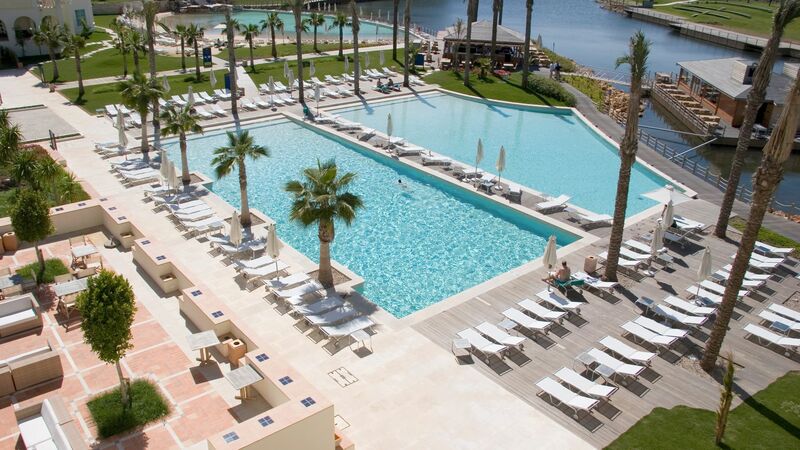 Blue and Green, The Lake Spa Resort provides five-star accommodation and is set in the heart of Vilamoura, which has a vibrant marina and lies close to Roman remains and five 18-hole golf courses. Make use of all the resort’s facilities, which include a floating restaurant and high-tech spa offering treatments from around the world. The star attractions include a salt-water lake with floating restaurant and sand-bottomed pool. Suites and deluxe rooms are spacious, with chic décor featuring natural wood, stone, and ceramics. The hotel is known for its family-friendly facilities that include a kids’ club and teen entertainment programme, as well as a selection of restaurants with dishes to suit all culinary tastes. Nearby places of interest include the traditional fishing village, Olhos de Agua, and Falesia Beach, which is bordered by red cliffs and has Golden Flag status. Guests who have booked a half board stay at the Blue and Green, The Lake Spa Resort can choose to eat either Lunch or Dinner at the onsite restaurant. Lunch for Half Board and Full Board guests is served either at Blue Lagoon or Marenostrum during high season, at Blue Lagoon during mid season and at Zanzibar during low season. 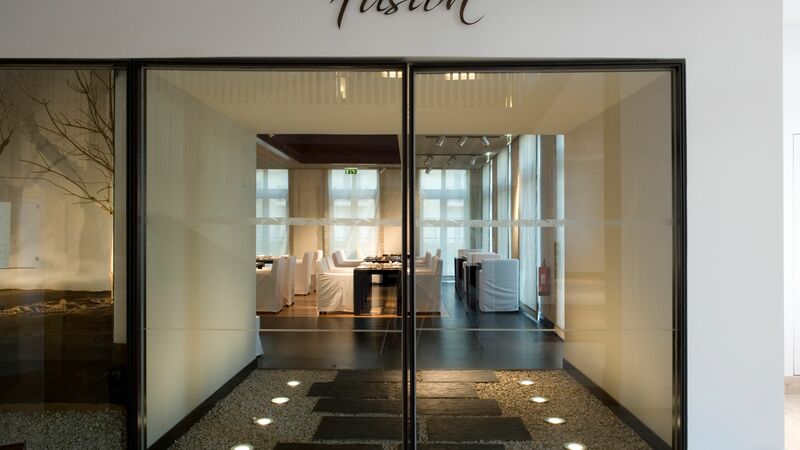 Dinner is served at Gustatio during high season and at Fusion during mid and low season. Both lunch and dinner include menu choice of three starters, three main courses and three desserts. Hotel child prices apply to ages 0–12 years. The hotel has 192 rooms, 4 floors, and 3 lifts. Specially modified rooms for people with reduced mobility are available on request. Enjoy drinks and light snacks at the Blue Lagoon bar, which is set by the pool. Relax by the water with a fresh salad, snack or fruit juice. Dine on a fusion of Mediterranean and Oriental cuisine, including dishes inspired by China, Thailand, Japan and Vietnam. For al fresco dining, sit on the outdoor terrace. 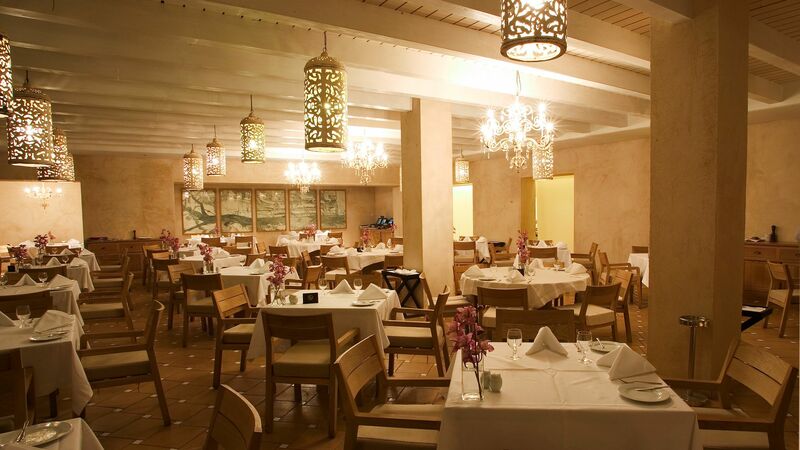 This buffet style restaurant serves breakfast daily and à la carte dinners three days a week. Enjoy some wine from the cellar, which has a wide variety of Mediterranean wines. Meals at Gustatio are included for full board, half board and bed and breakfast guests. 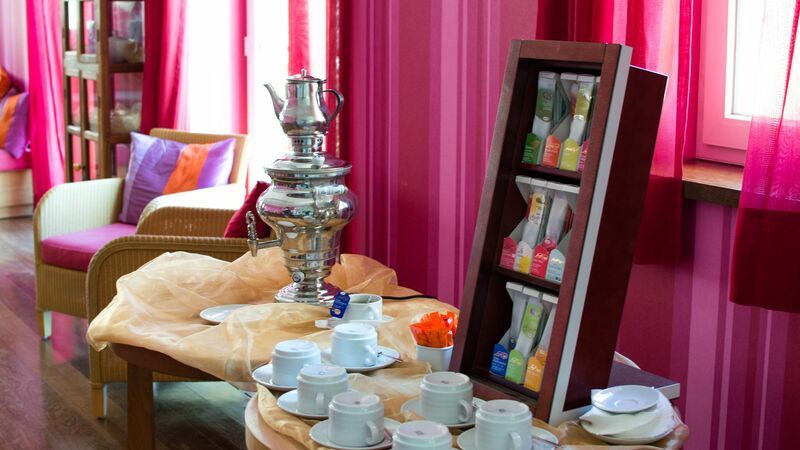 Visit for a traditional British afternoon tea in an oriental setting, decorated in red and yellow hues, with a balcony overlooking the Fusion restaurant. Have dinner on a Caribbean-style floating restaurant on the lake, surrounded by lush gardens. Dishes centre around grilled meat and fish, as well as salads and snacks. Dining at Marenostrum is included for full and half board guests. 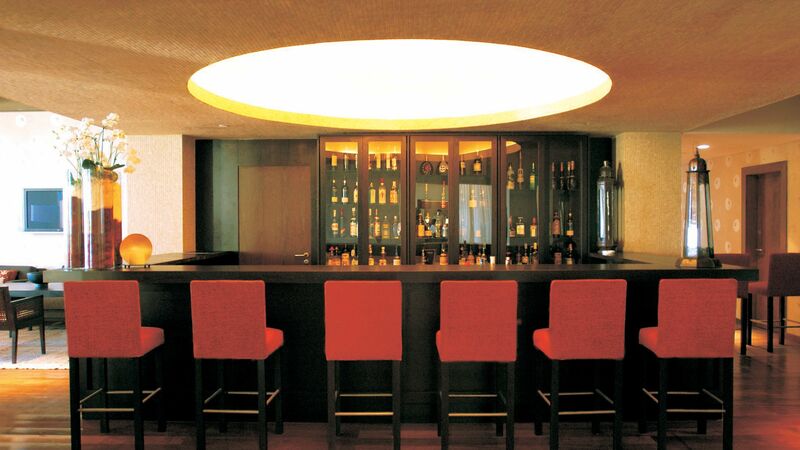 This Africa-themed bar offers a relaxed setting for drinks, with a terrace offering views over the lake and gardens. The two outdoor pools lie next to each other and are surrounded by trees and sunbathing areas with loungers and parasols. One of the pools is heated for use in winter and another has a sandy bottom and overlooks the resort’s salt-water lake. 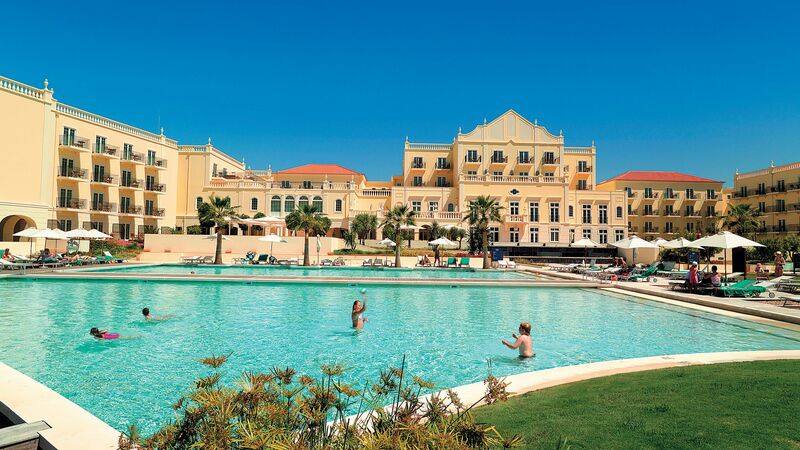 Vilamoura Beach is just a five-minute walk from the hotel, or you can head to Falesia, which is 300 metres away. Falesia is Portugal’s longest beach with white sands, Golden Flag status and calm water ideal for water sports and swimming. At the Koala Kids’ Club, children can enjoy indoor and outdoor activities supervised by qualified hotel animators. There’s a varied entertainment programme featuring fun and creative activities. Open: the club is open seasonally, please enquire with our travel experts for exact times and prices. The spa has a five continents, five senses theme, with treatments from across the world in the green area. There’s a signature treatment for each continent, including Japanese Shiatsu and Indian Ayurvedic massages, which use essential oils from each region. The blue spa area offers relaxing hydrotherapy and jet pools. You can also enjoy a gym, saunas, Jacuzzi and beauty centre with hairdressers. 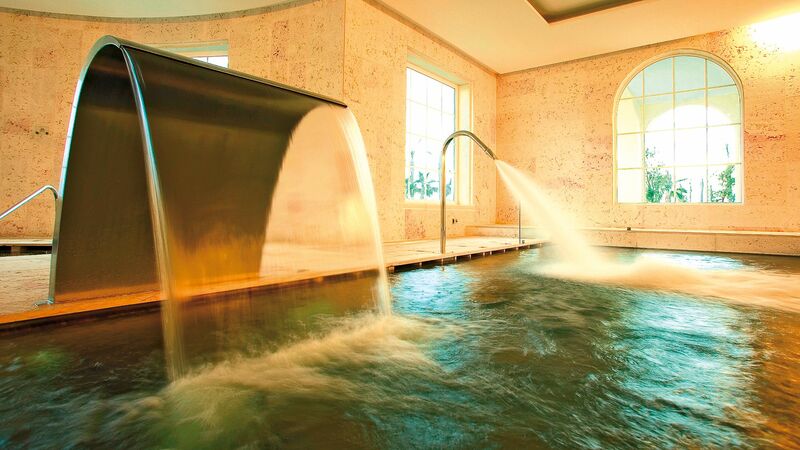 The indoor treatment pool is only for guests over the age of 16. Enjoy a range of activities for all the family, including watersports and horse riding. 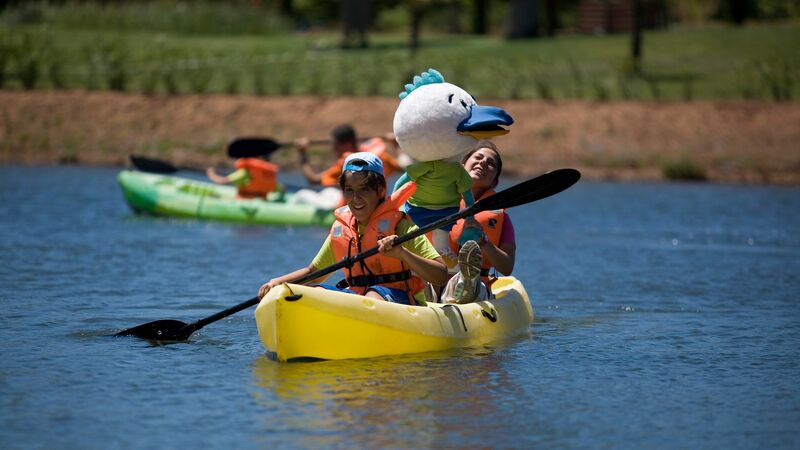 Guests have access to free kayaks and bikes, plus use of the sports fields. 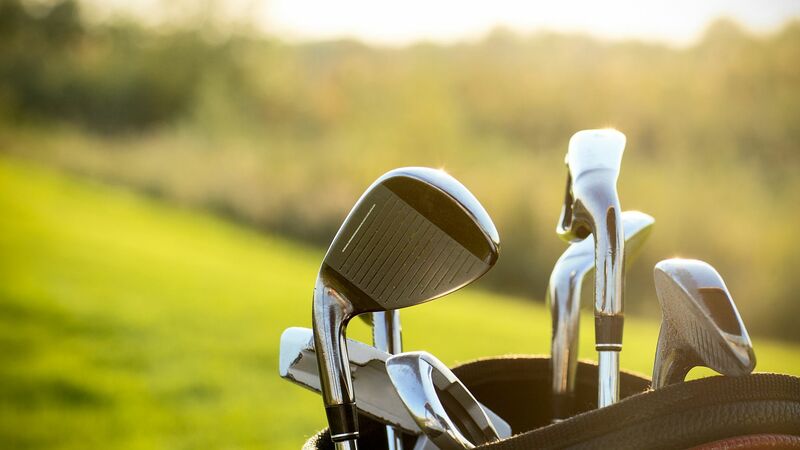 Golfers can make use of the free shuttle and booking service to Vilamoura’s five nearby golf courses. There’s also a seasonal, complimentary teen programme for 9 to 14 year olds. The jewel in the Algarve's crown, Vilamoura is a vibrant and cosmopolitan seaside town where life revolves around the spectacular coast. Two long, sandy beaches, both backed by a lively waterfront promenade, provide the perfect spot for swimming, watersports and flopping down on a towel. At the town's heart, you'll find the marina. Filled with gleaming white yachts, it's something special, offering a huge choice of elegant bars, Portuguese restaurants and even a casino. It's not all about the glamour, though - a fascinating history has left a wealth of sights, including Roman remains just a stone's throw from the marina, at the archaeological site Museum Cerro da Vila. 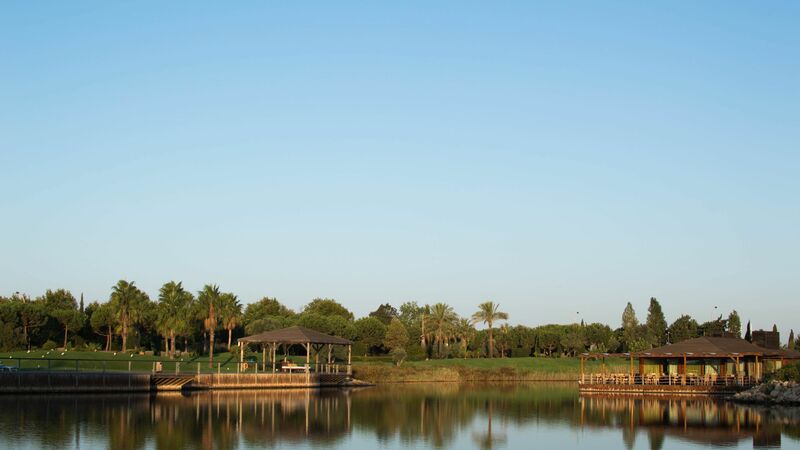 Vilamoura is also a hit with golfers, thanks to an incredible five 18-hole courses. Located in the main hotel building, these Deluxe Rooms are decorated in a neutral style and feature twin beds and a balcony with a view over the gardens. Located in the main hotel building, Deluxe Rooms are decorated in a neutral style and feature magnificent ocean views. Deluxe Rooms offer a prime location and a terrace commanding panoramic views. Suites Panoramic View are located in the corner of the main building. Modern in design with a spacious separate living room, they are ideal for families and enjoy an additional shower and panoramic sea views. Interconnecting Rooms consist of a pair of joining Deluxe Garden View rooms. One Bedroom Apartments have one double bedroom, a lounge area with a double sofa bed and a fully equipped kitchen and a terrace with charming resort views. The bathroom has a shower over the bathtub. One Bedroom Apartments offer one double bedroom, a separate lounge area with a double sofa bed and a fully equipped kitchen and a terrace with beautiful sea views. The bathroom has a shower over the bathtub. Two Bedroom Apartments with Resort View offer two separate bedrooms, two bathrooms with one featuring a bathtub and the other a shower, a separate lounge area with a double sofa bed, dining room and a fully equipped kitchen. Duplex apartments consist of a kitchen, lounge, two bedrooms and two bathrooms (one with bath and one with shower) on the ground floor and large terrace with Jacuzzi® upstairs. Save an additional 5% discount on the hotel price when staying in a Deluxe Room Garden View, Deluxe Room Sea View or Deluxe Room Panoramic View for holidays between 13 - 21 April 2019 and 01 May - 16 November 2019 booked by 30 April 2019. Save up to 15% discount on the hotel price when staying in a Deluxe Room Garden View, Deluxe Room Sea View or a Deluxe Room Panoramic View for holidays of 5 nights or more between 13 - 21 April 2019, 01 - 31 May 2019 and 01 - 30 September 2019 or save 10% between 01 June - 31 August 2019 and up to 20% when staying between 01 October - 16 November 2019. booked by 30 April 2019. Stay for 14 nights, pay for 10 or stay for 7 nights, pay for 5 when staying in a Deluxe Room Garden View, Deluxe Room Sea View or Deluxe Room Panoramic View for holidays between 01 January - 12 April 2019 and 22 - 30 April 2019. Couples on honeymoon will receive an extra 5% discount on the hotel price for holidays between 01 September - 17 November 2018, 02 February - 31 May 2019 and 01 September - 16 November 2019. (only applies when staying in a Deluxe Garden View, Deluxe Ocean View or Deluxe Panoramic View, wedding certificate to be presented on arrival). All Sovereign guests will receive a free bottle of sparkling wine in the room on arrival, 1 complimentary room service breakfast per person per stay and free ice cream for children at lunch or dinner for holidays between 01 - 17 November 2018 and 01 February - 31 October 2019. We have stayed at The Lake Resort several times and it just keeps delivering. The rooms are spacious, well laid out and cleaned perfectly by the housekeepers. We had a second floor 'garden view' room on this occasion, which was quiet and had a great view out over the swimming pools. The grounds of the hotel are immaculately maintained, even at the farthest reaches of the resort. Yet we didn't see a gardener once during the week that we were there! Breakfast can be busy at peak times (9-10.30) but the staff manage it brilliantly. Finally, the staff at this hotel really make the difference compared to other local hotels. They are so friendly, attentive and nothing is too much trouble. A real credit to the hotel. Conclusion? Book this hotel, you will not be disappointed. We had a room with balcony, with a view on the amazing hotel garden. The room was very nice, well sound-proofed and Internet was fast. We did not try having dinner at the hotel but the lunch food by the pool was really decent. Also, the garden and pool areas are impeccably maintained. The marina, where you can find lots of restaurants and shops, is at a short walking distance. Our only complain on this hotel is the noisy and *very* cramped breakfast area. Something should really be done regarding sound proofing and table layout. Once this gets fixed, it will be an amazing place. I stayed here 4 years ago and forgot how wonderful the hotel & Spa was. The breakfast is superb with a great choice every morning, with fresh fruit, wine and a surprise Easter cake in the room was a lovely touch. The spa treatments, facial and massage are well worth it. 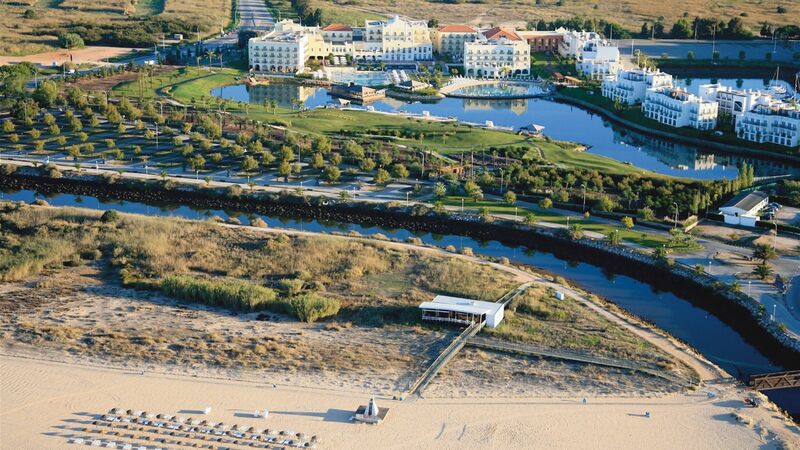 The pool and lake are beautiful and only a short walk to the beach and Vilamoura marina. Wonderful relaxing trip! This is an amazing hotel, with beautiful grounds and very caring staff always willing to go the extra mile. The only niggles are that our room was cleaned very late on a lot of days (4pm) and the food at the pool bar, is expensive, disappointing as similar Mc Donalds quality, but very convenient !